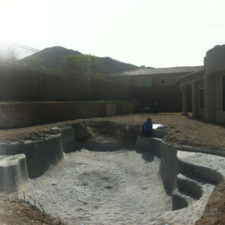 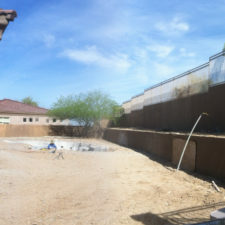 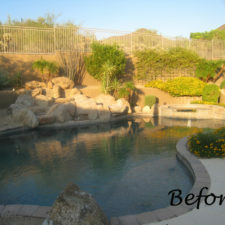 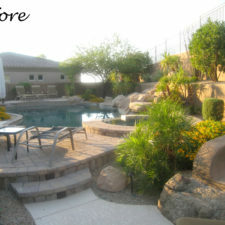 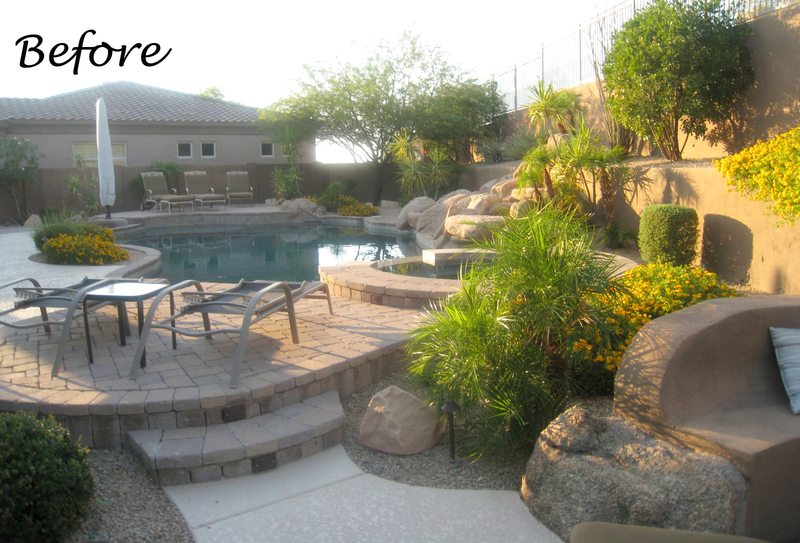 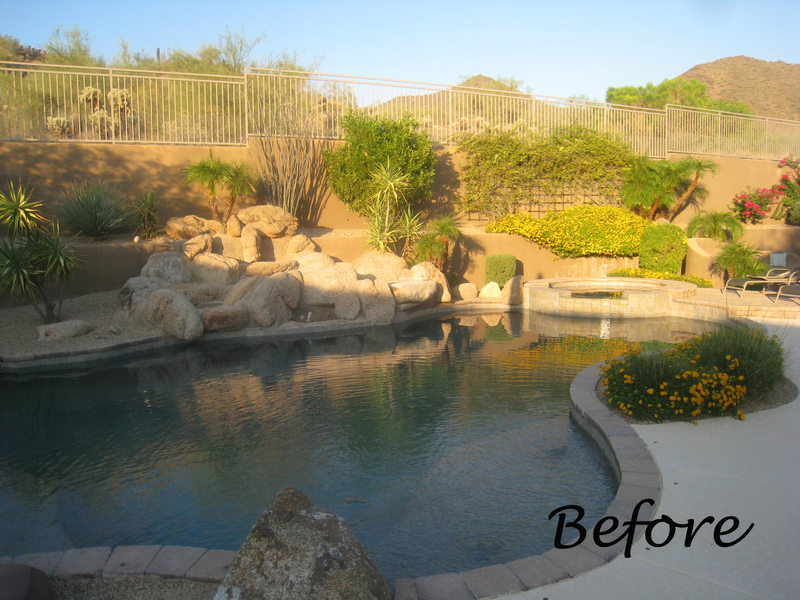 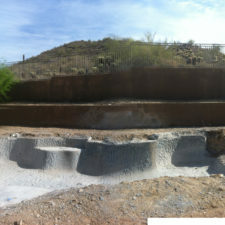 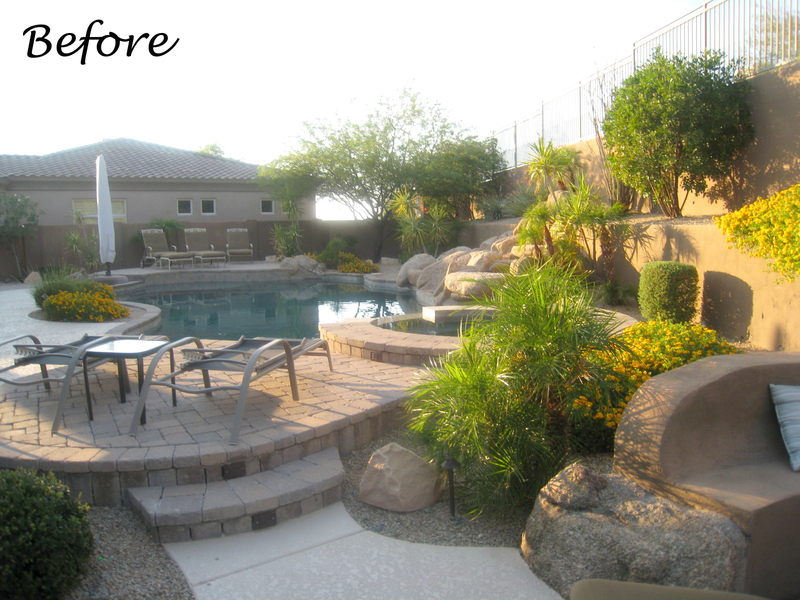 Previously, this yard was burdened by a typical boulder pile pool, that was heaped higher than typical, trying to hide the towering wall behind. 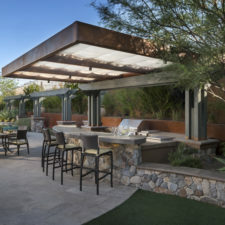 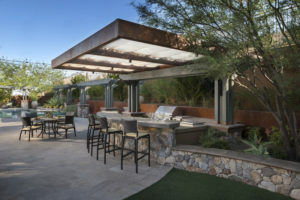 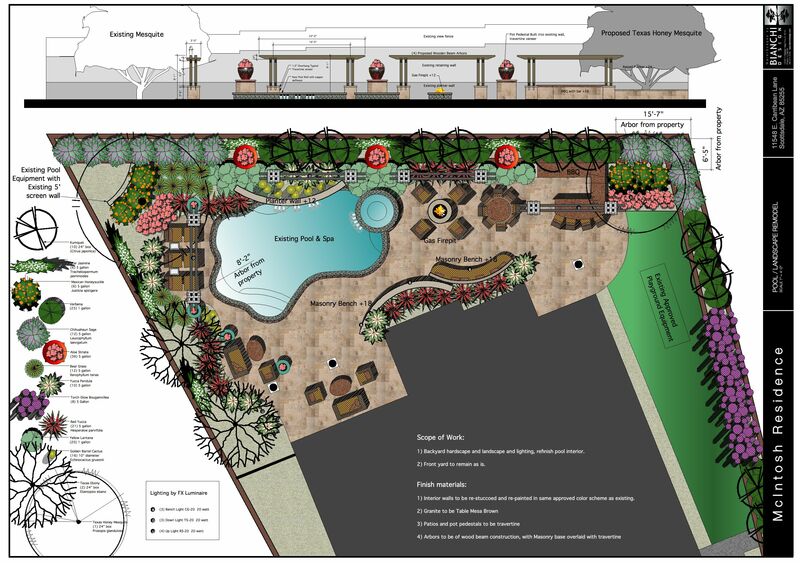 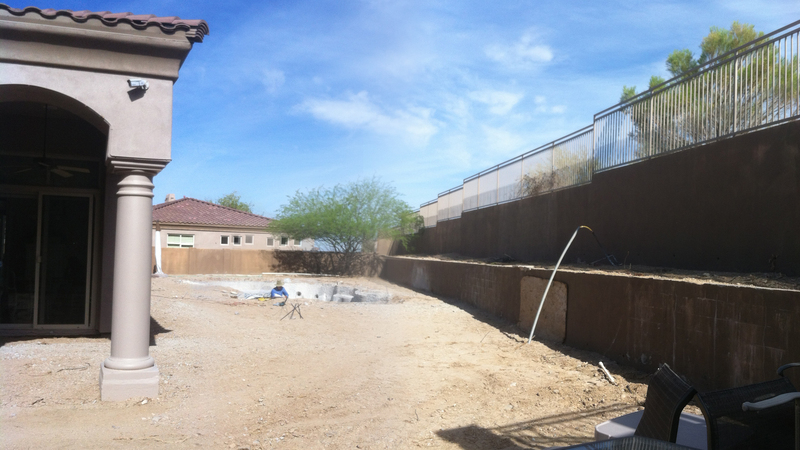 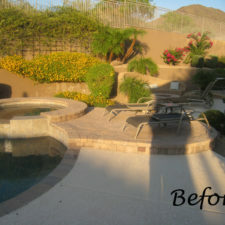 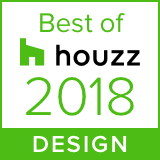 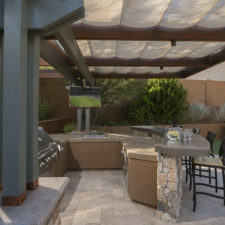 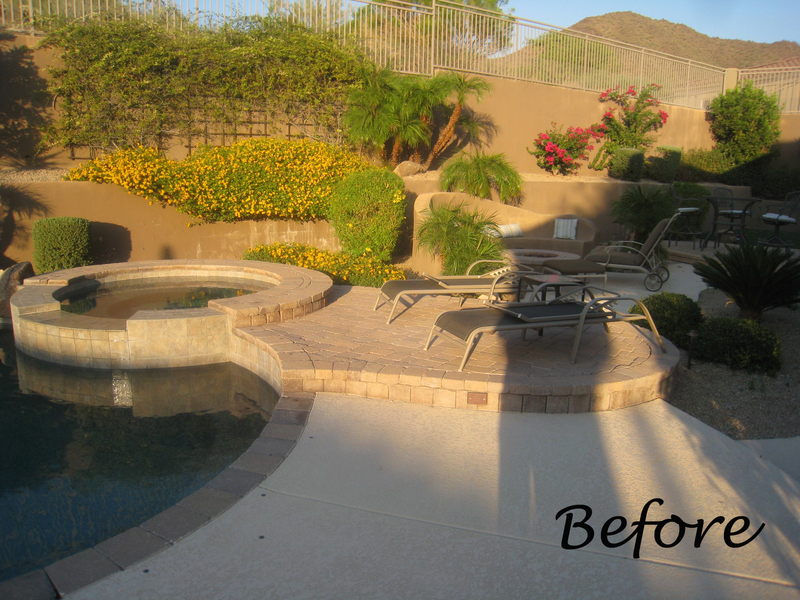 At first, the clients sought merely to reconfigure the BBQ that was congesting the patio, but upon further analysis, they decided it was time to strip the entire yard, leaving only the pool shell. 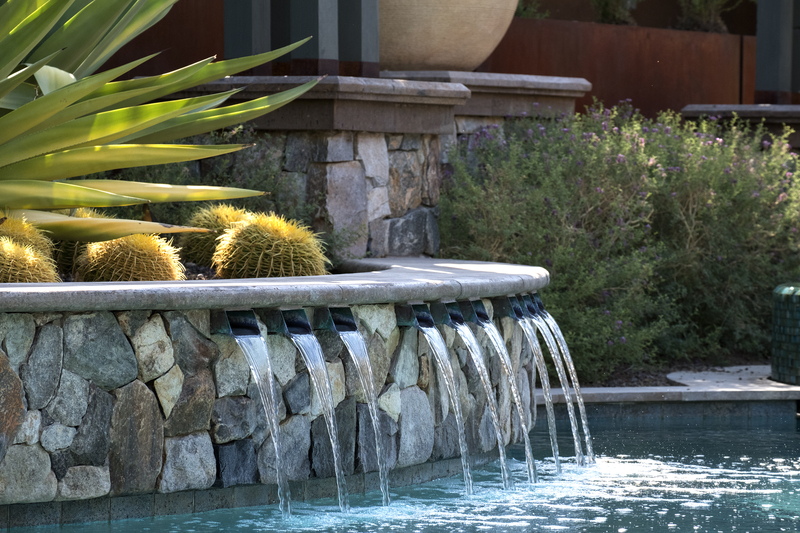 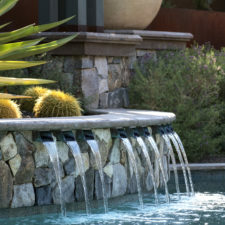 Bianchi’s solution introduced an array of four arbors to distract the eye from the wall behind, solving what the boulder waterfall could never do. 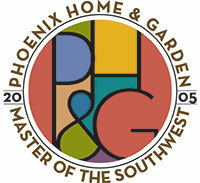 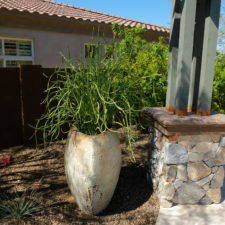 Additionally, the wall was painted a dark earth tone to add contrast and depth. 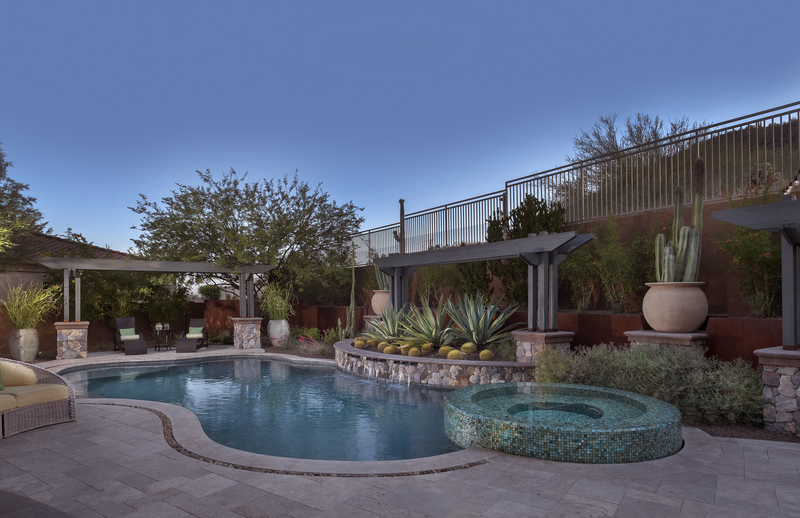 This strategy enabled the wall to recede into the distance, while the agave blue grey arbors floated forward visually from the background. 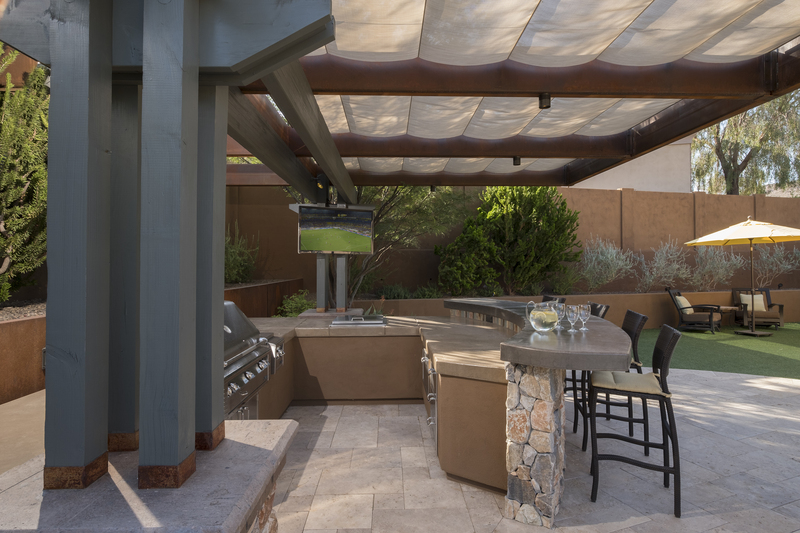 Previously, the patios were a hodgepodge of deck islands that were impossible to navigate, and were of insufficient size to arrange furniture on. 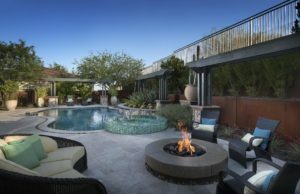 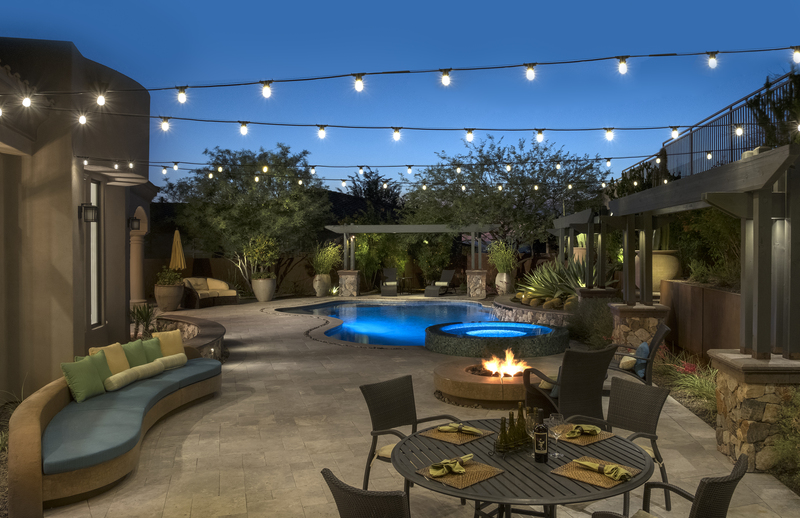 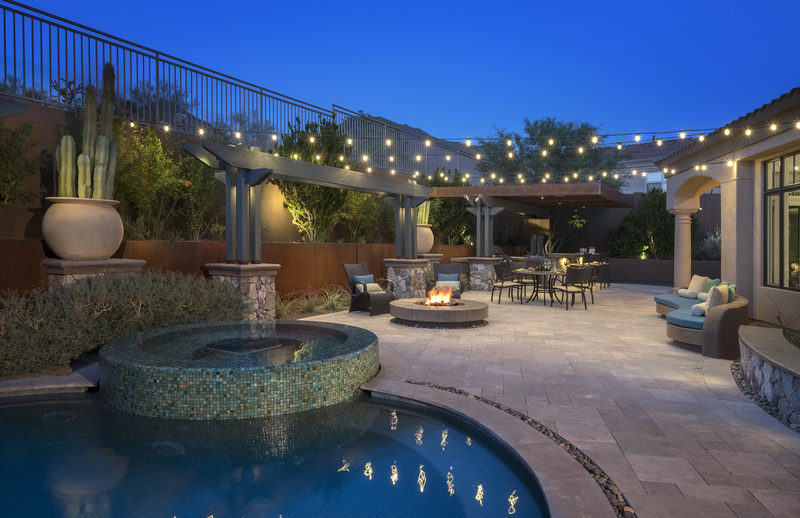 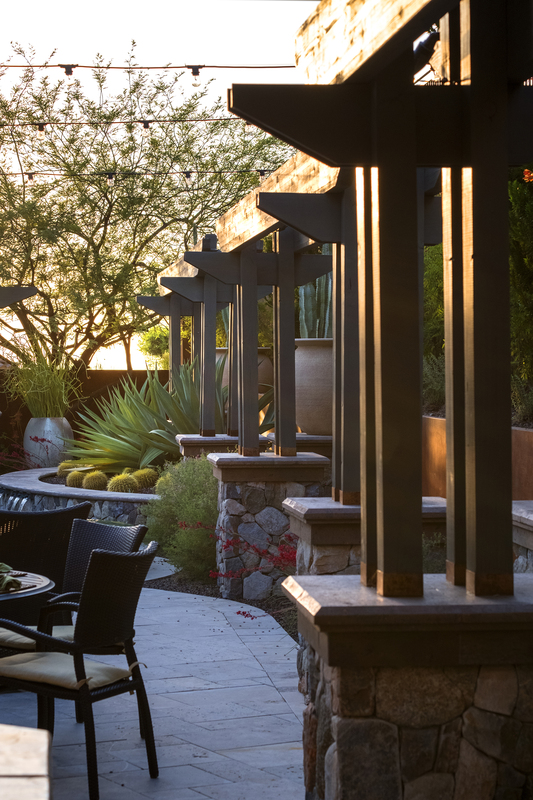 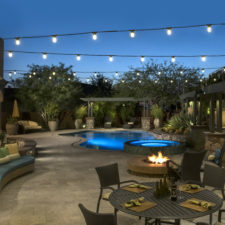 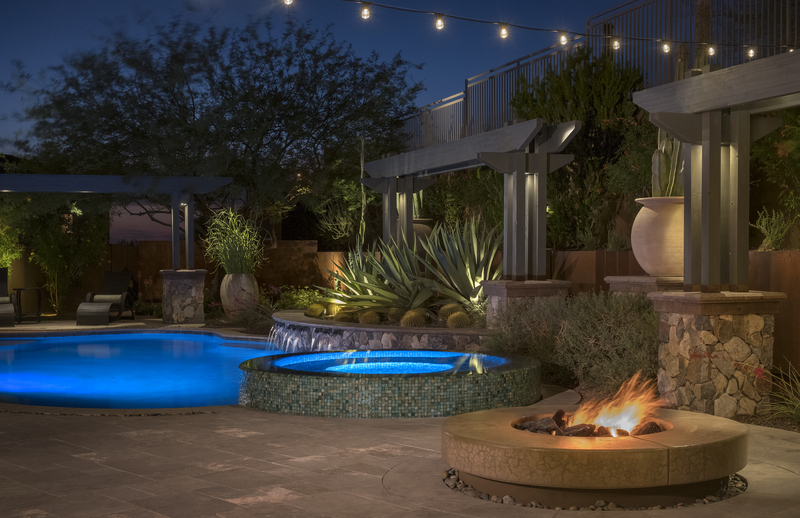 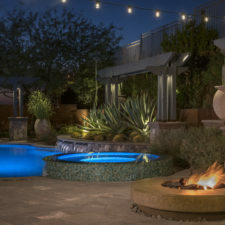 A well organized patio streamlined the traffic flow and the living space, featuring a cast in place concrete fire pit and banco couch. 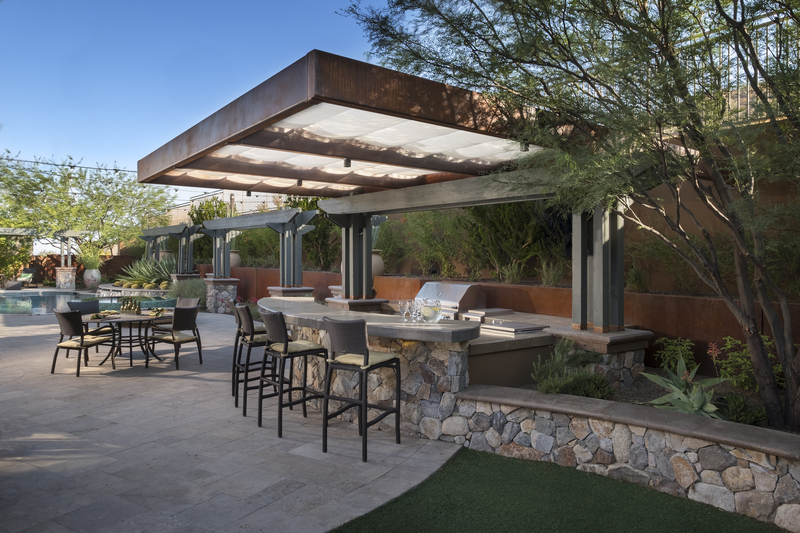 As well as a new outdoor bistro, glowing with filtered light from the canvas shade sails overhead. 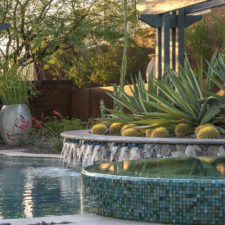 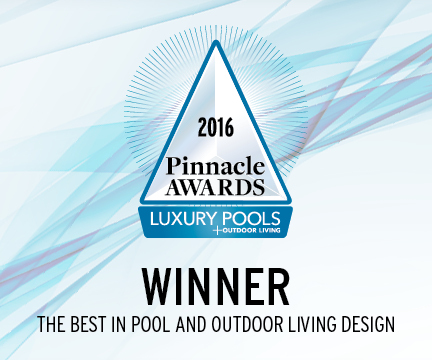 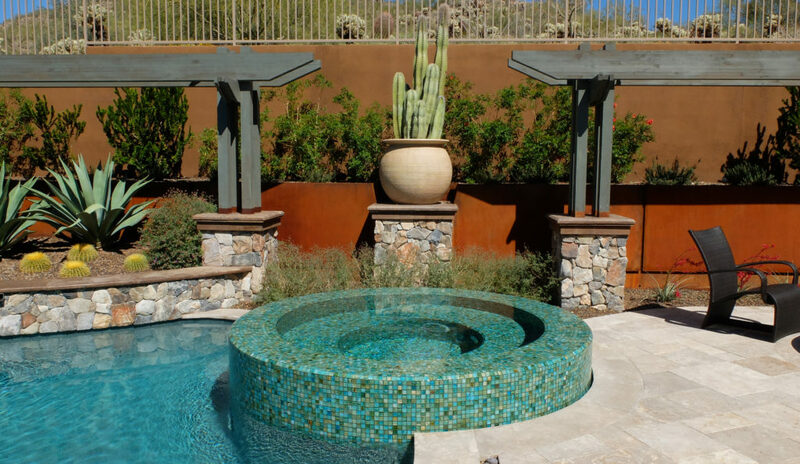 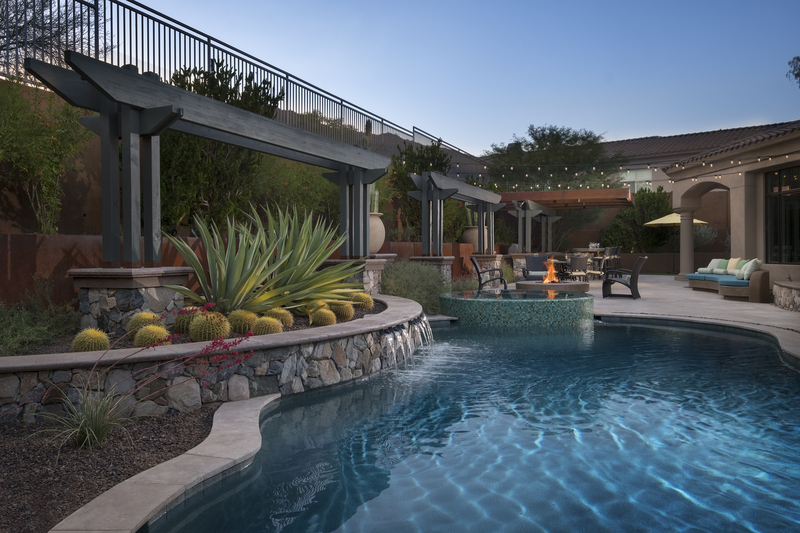 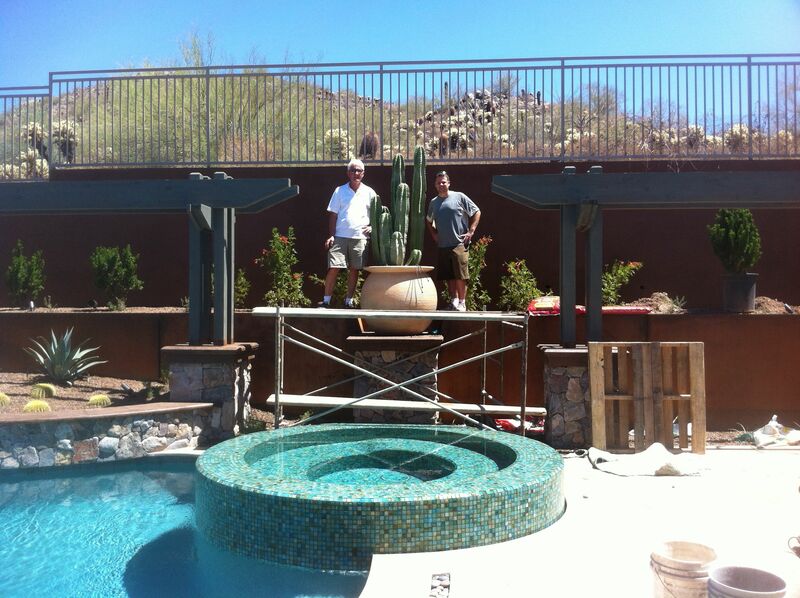 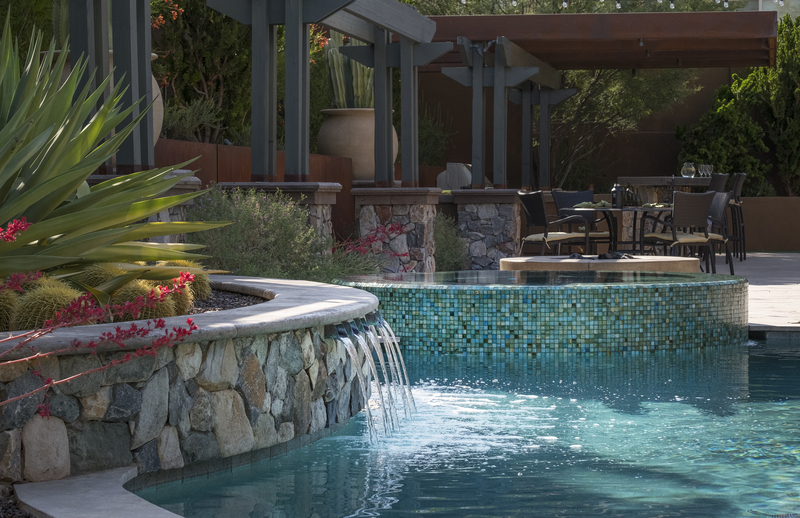 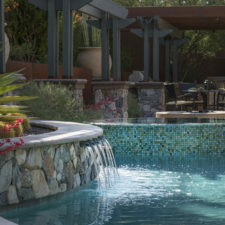 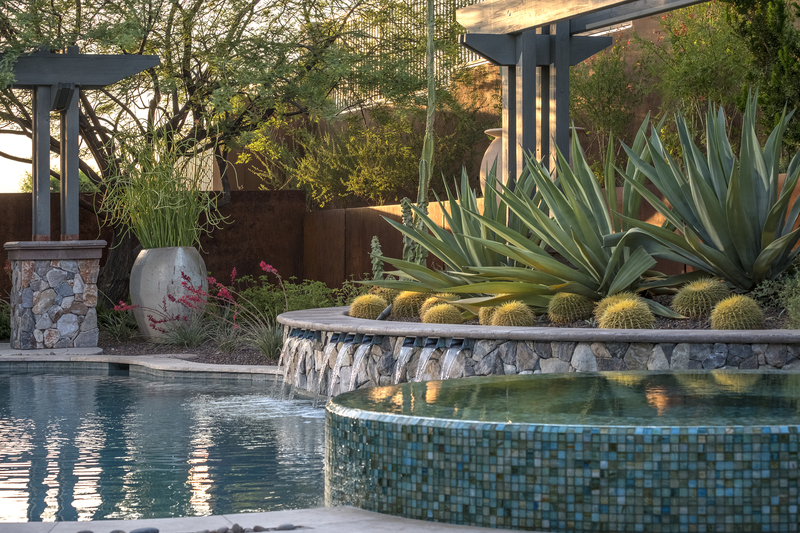 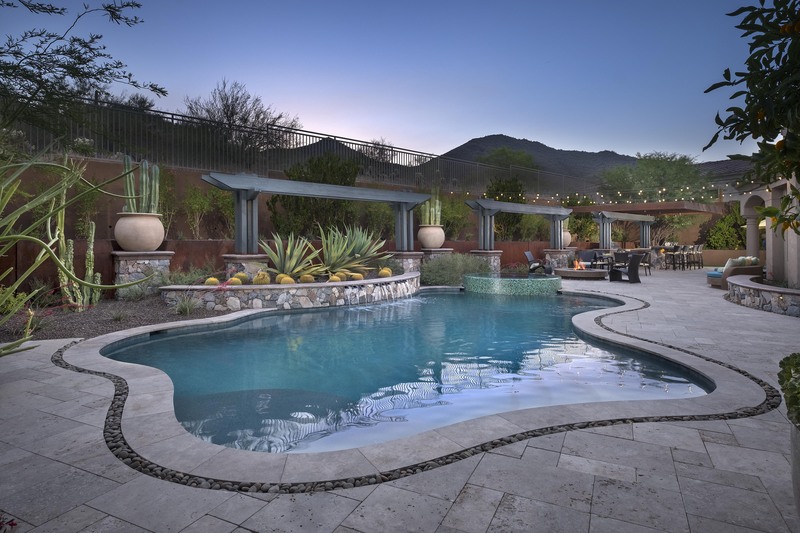 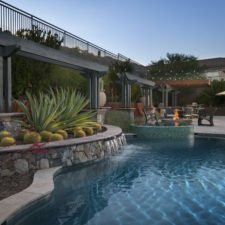 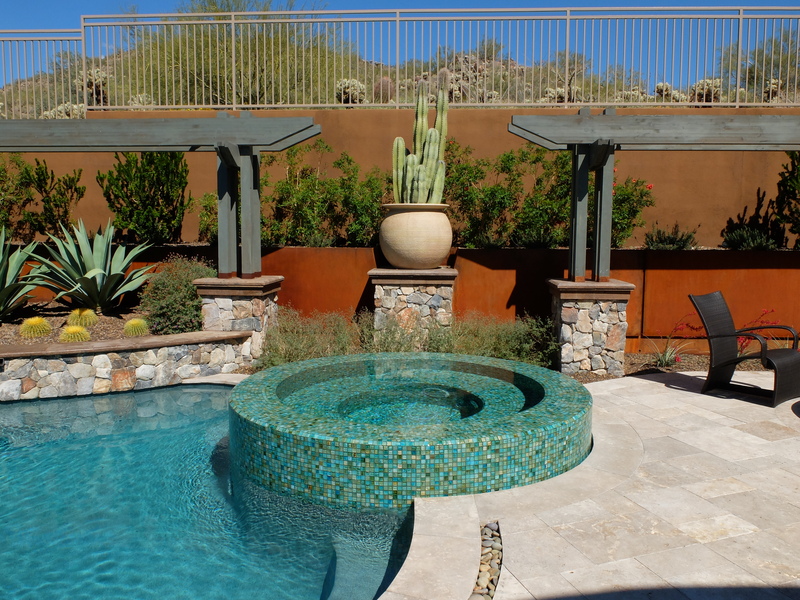 A turquoise glass overflow spa became the yards focal point, sharing the space between the pool and outdoor living. 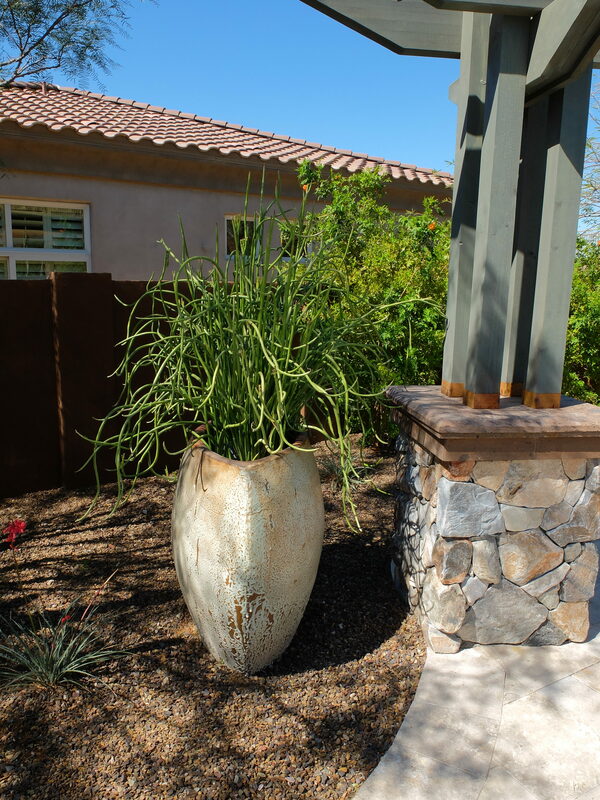 The striking symmetry of the spa and pot pedestal with regal cacti arrangement behind, flanked by the arbors on either side, created a stately first impression from the front door. 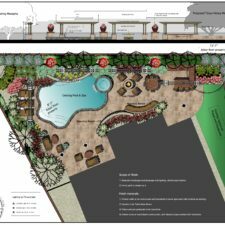 This teaser was just a glimpse of what could not yet be seen serving as an invitation to explore and enjoy as the yard unfolds. 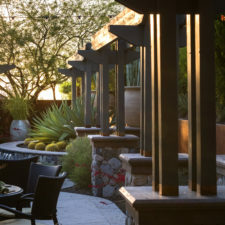 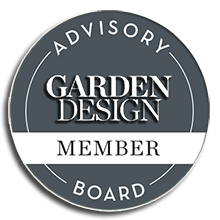 The imposing retaining wall was painted dark so as to recede, allowing an array of lightly colored arbors, specimen plantings and pots to pop forward as a lyrical backdrop motif. 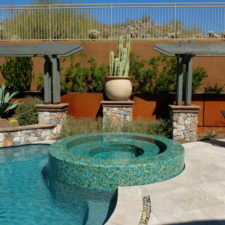 Here we see the lesser reflective potency of seafoam green played here for its vivid turquoise hue, which resonates with the ochre of the rusted steel planters.